Wow. That sounds pretty impressive, doesn’t it? Well the truth is that organizing anything just boils down to a few simple steps that are the same whether you’re organizing your closet or your spice rack. Start by setting aside enough time to get the job done. Estimate how long it will take and then double it. Yes double it. You know you’re going to get distracted and sidetracked by some of the things that you uncover. Next gather your supplies. Don’t make this too complicated. You need containers to sort things you will toss, donate, relocate and keep. You will also need some paper and a marker to label your containers. “Toss” is obvious. Don’t be afraid to throw things away. Ask yourself when you last used it, and what might happen if you didn’t have it. If it’s broken, stained, or outdated, throw it out. A garbage bag or can works as your container here. “Donate” is for items that are useful for someone else. That means they’re in good condition – no stains, rips, or broken parts. A garbage bag works here too, because as it’s filled you can place it in the car to take to the donation spot. “Relocate” is for anything that doesn’t belong in it’s current location. 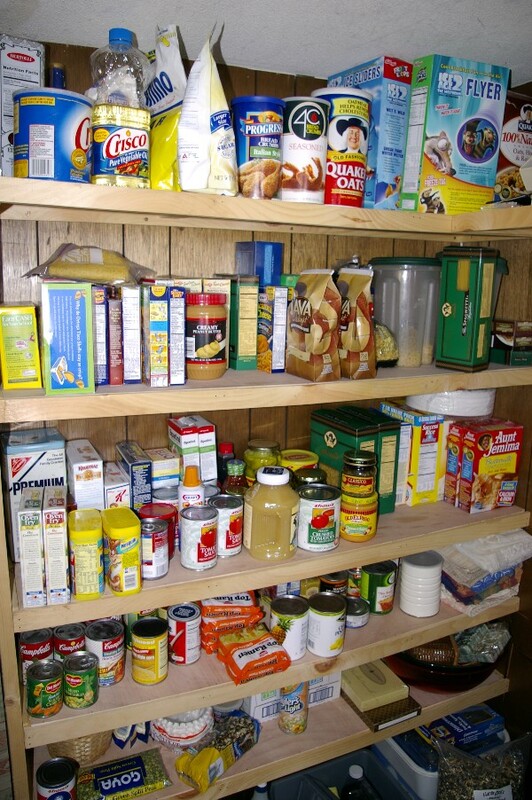 If you find kids toys in the shoe closet or Jellp in with the spices, put them aside to be put away later. A basket, box, or laundry basket works for this. Finally there are the things you will keep. You can use a container like a basket or box for these or just pile them neatly together. You’re going to be putting them away soon. Once everything has been removed, clean the space, then take out the trash and put the donation items in the car. Set aside an area for the things that need to be relocated. Now go through the things that go back into the space and sort them by type. If it’s a shoe closet, you might sort by each person. Or you could sort by season or use: all of the gym shoes together, all of the heels together. Once you have everything sorted, take a look at the space and see where the best place to put things will be. You may want to think about what kinds of containers you can use to keep like things corralled. A labelled basket for each kind of shoe for instance. Also use this time to take measurements and write them down. Measure the space as well as the items that will go in it. That way the next time you go shopping you will know exactly what to buy. Don’t overlook things around the house, either. You may have baskets that you could use, or even plastic bins or shoe boxes.